What are the Types of Magnets? There are many kinds of magnets, generally divided into permanent magnets and soft magnets. The first category is: metal alloy magnets include NdFeB, SmCo and AlNiCo magnets. The second category is ferrite permanent magnet. 1. Neodymium-iron-boron magnet: It is the most commercially available magnet, known as the magnet king, with extremely high magnetic properties, its maximum magnetic energy product is more than 10 times higher than that of ferrite. Its mechanical properties are quite good. The working temperature can reach up to 200 degrees Celsius. Moreover, its texture is hard, its performance is stable, and its cost performance is very good, so its application is extremely extensive. But because of its strong chemical activity, the surface layer must be treated. 2. Ferrite magnet: its main raw materials include BaFe12O19 and SrFe12O19. It is a brittle material with hard texture. Ferrite magnet has been widely used because of its good temperature resistance, low price and moderate performance. 3. 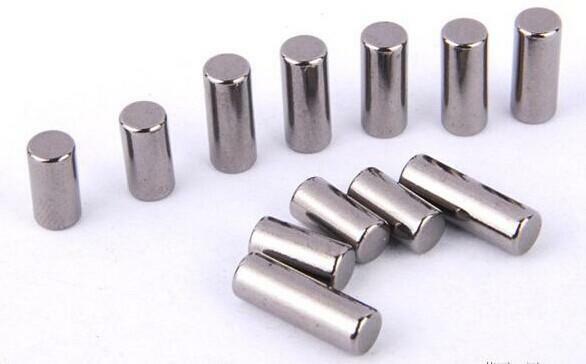 Aluminum nickel cobalt magnet: an alloy consisting of aluminum, nickel, cobalt, iron and other trace metals. The casting process can be made into different sizes and shapes, with good workability. The cast aluminum nickel cobalt permanent magnet has the lowest reversible temperature coefficient, and the working temperature can reach up to 600 degrees Celsius. Al Ni Co permanent magnet products are widely used in various instruments and other applications. 4. Samarium cobalt (SmCo) is divided into SmCo5 and Sm2Co17 according to their components. Because of the high price of materials, their development is limited. SmCo, as a rare earth permanent magnet, not only has a high magnetic energy product, reliable coercivity, and good temperature characteristics. Compared with NdFeB magnets, samarium cobalt magnet is more suitable for working in a high-temperature environment.